Walk across one of the most isolated places on earth, from site to ancient site. This remote island once sustained a mysterious people of craft and culture. 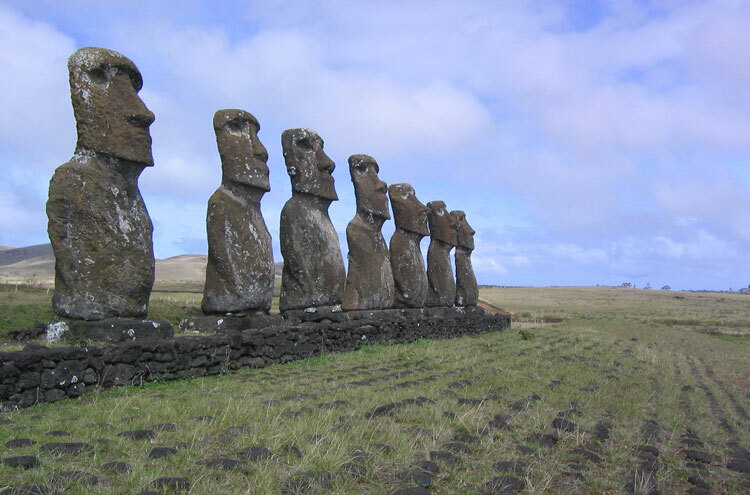 The people are gone, but their amazing heritage has endured: discover their vast, awe-inspiring statues (moai) for yourself, with over eight hundred monoliths carved into heads and torsos, gazing steadily into the eternal distance. The island, heralded the navel of the world in the language of its indigenous people, is a serene mix of beauty and grandeur with volcanic hills and barren, treeless landscape. Easter Island is a place full of mystery, that astounds as much as it confounds, and which traces an intriguing path back to mankinds past. While the creators are gone, a massive cultural legacy remains; statures, wood and stone carvings, barkcloth crafts (tapa), music, dance, tattooing, string figures and the only written language of ancient Oceana, the Rongorongo script. 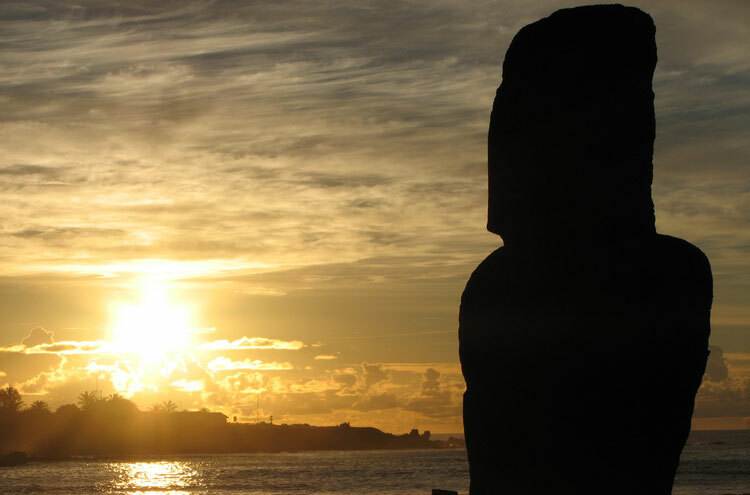 The 887 upright statues, or moai (of which around 50 have been re-erected), offer a breathtaking insight into human versatility and cultural evolution, the craft and skills utilized still marvellous today. 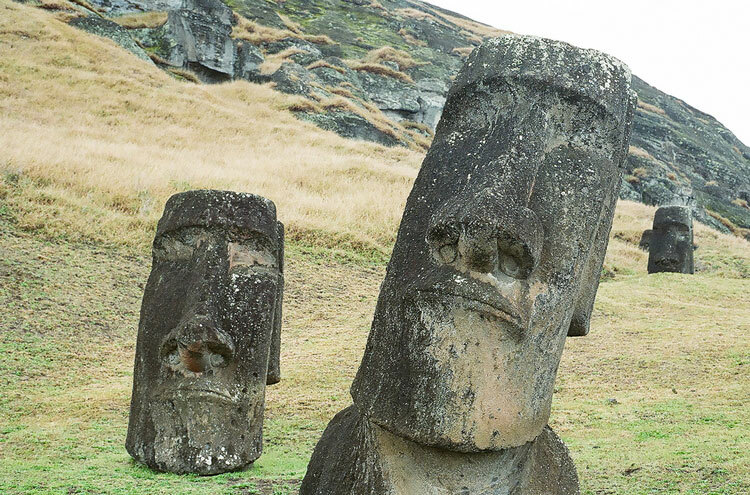 These statues, originally thought to be just heads but later found to include torsos too many lost in the shifting volcanic soils are what draw people here; the last vestige of a vanished Polynesian culture that began 1600 years ago. 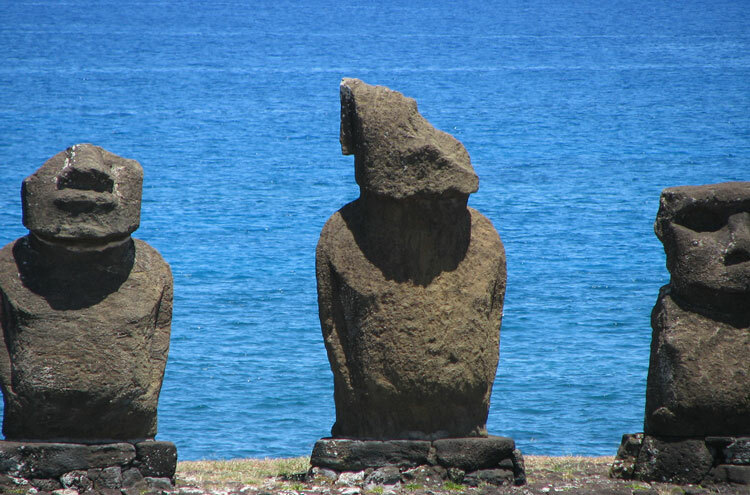 The statues are indeed impressive; giant carved monoliths shaped using tools not dissimilar to those of the Incas (indeed, the similarity between Easter Islands stonework and Incan masonry led to initial theories that the island itself was settled by the Incas). They litter the coastline, most looking out to sea as sentinels of a haunted legacy, though an inexplicable few facing inland. They average around fifteen feet in height, and seem bizarrely cartoon-like, almost caricatures; all bear marked resemblances to Incan statues or Native American totems. These statues alone are worth the visit. 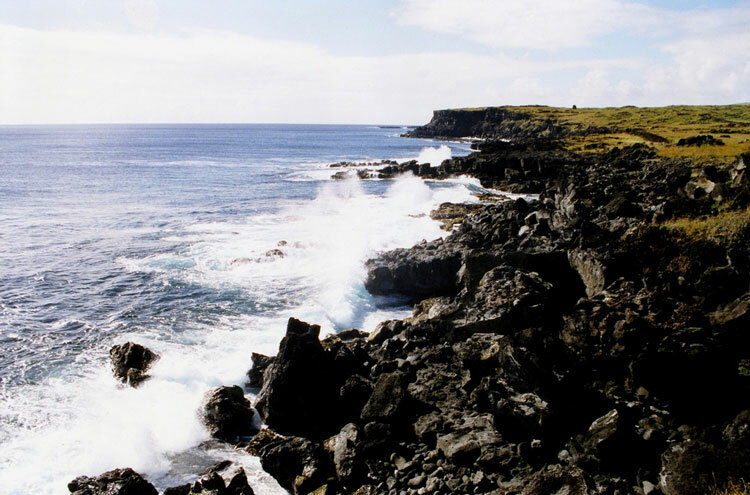 Rapa Nui, the Navel of the World, makes for wonderful walking. It will not take a physically fit person over three days to see the entire island; a volcanic rock triangle plunged into the heart of the South Pacific. The land is hilly, if devoid of trees, and only sixty-three square miles in size. There are, however, three extinct volcanoes, the largest 1,674 feet tall, so the scenery is spectacular in a desolate, grand way, and has been compared to Scotland and Wales. Trekking is not too difficult, and there is opportunity to see sprawling vistas of the whole island, sweeping bays, and resonant seas calm between cliffs, hills and mountains. 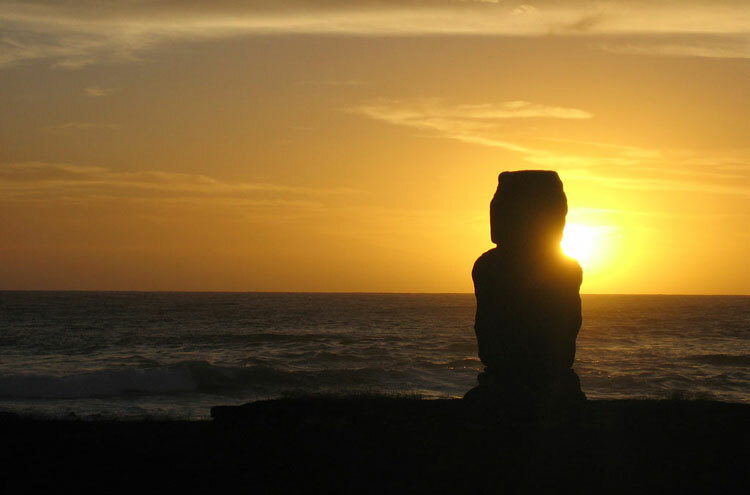 Suggested itineraries include visiting the Ahu Hanga Tee site, one of the altars for a moai, and then following the coast round, passing the Ahu Akahanga and Ahu Tetenga sites, all the time gawping reverently at the monoliths, both fallen and upright, that signal the maturity as artisans of the now disappeared society. 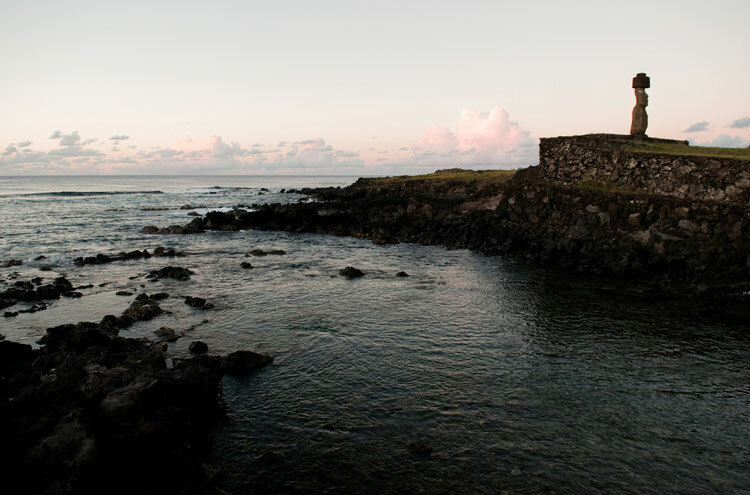 A good idea is to take in the museum at Hanga Roa the islands harbour settlement first, thus enabling you to map stories onto the islands archeology and develop your own theories as to the logistics of the structures. Alternatively, a climb up Rano Kau, the islands most spectacular volcano, to Orongo, a major archeological site placed precariously on its crater-rim, necessitates slightly more exertion. Although a taxi can be taken up the main track to the top, more exciting is to look for trails diverging from this road. In all, the climb should take no more than a few hours. The Crater Lake atop this volcano offers a beautiful, circuitous route in order to make a fuller day of the walk, though possibly a lengthy one and only for the more experienced walker. Taking a taxi (embarrassingly cheap!) 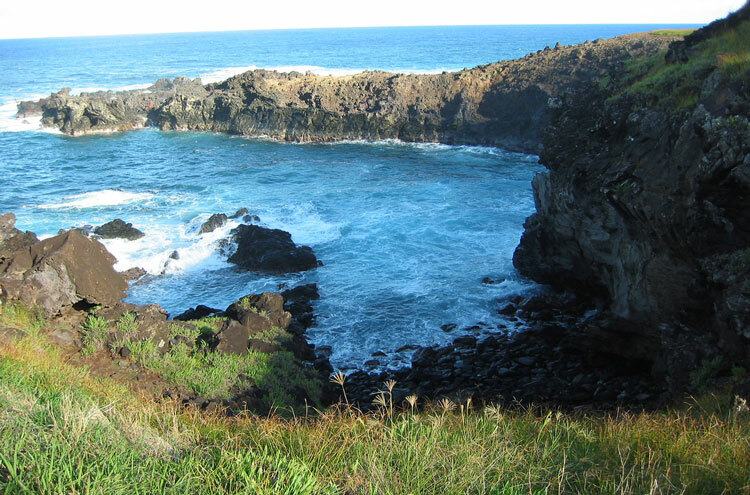 to various beaches in the walkable vicinity of Hanga Roa will see you encounter a multitude of caves, both above and below sea level, during your return walk. These betray the old routes of lava flow, and many such chasms and vents were incorporated into the lore of the ancient society; some still holding startling remnants of their art and culture. 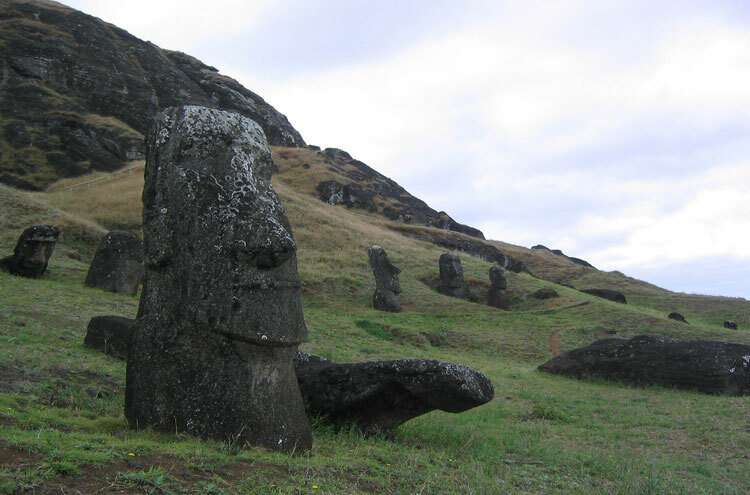 Indeed, at Easter Island there are over 1,000 sites with various forms of rock art, housing over 4,000 petroglyphs, thus making the island one of the richest areas of ancient Polynesia for this type of archaeology. Easter Island is a joy to behold, and investigate, and a pleasure to walk through. 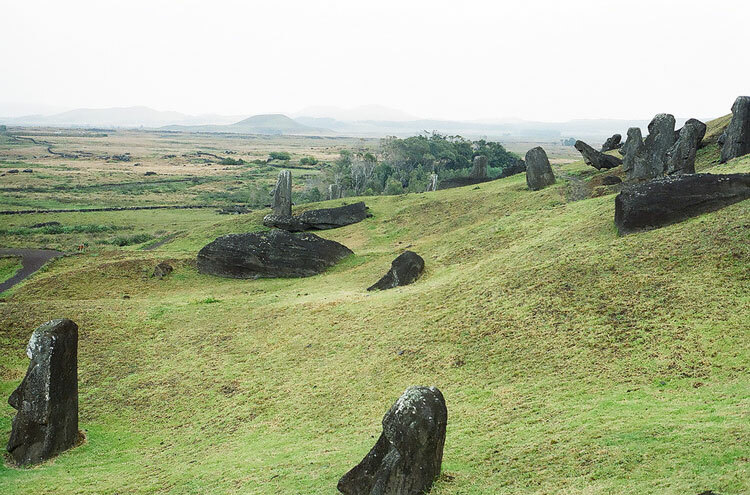 Ahus (the massive stone pedestals for moai counterparts), though mostly without their statues, and complete moais too (some even washed inland by a tidal wave in 1960) dot the all routes. 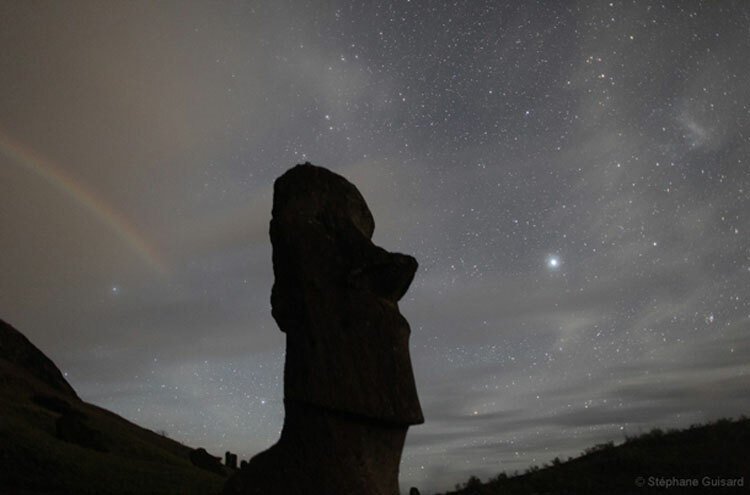 There is always another totem, another monument, another symbol to gaze up at, and this makes Easter Island, Rapa Nui (Big Rapa), an outstandingly exhilarating place to be.